LORETO, Baja California Sur, Mexico (Feb. 20, 2018) — Looking for the perfect antidote to beat the winter blues? 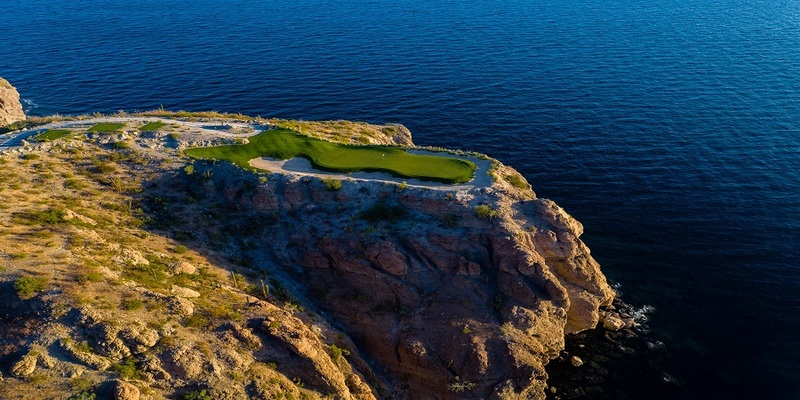 How about a visit to Villa del Palmar Beach Resort & Spa at The Islands of Loreto where daily temperatures are ideal, in the high 70s, and the newly completed, Rees Jones-designed championship golf course is welcoming guests as part of an attractive unlimited play-and-pamper package. Villa del Palmar Beach Resort & Spa is a Villa Group property that features 3,000 acres of unspoiled beauty along one of the most breathtaking spots in the hemisphere, including stunning views of the Sea of Cortez and Sierra de la Giganta Mountain Range. In addition to the golf and spa, the resort offers three outstanding restaurants, five swimming pools, beautiful beaches, tennis courts, miles of hiking trails, glass-bottomed kayaks, and sport fishing. Villa del Palmar at The Islands of Loreto is a luxury destination resort on the Sea of Cortez, off the eastern coast of the Baja peninsula overlooking Danzante Island (one of five in the region). Flanked by the rugged Sierra de la Giganta range, the Villa del Palmar is the first and only resort to occupy one of the Gulf of California’s last virgin coastlines. The resort features 181 new, spacious, beautifully appointed Deluxe Ocean View, one, two and three bedroom Suites with terraces and stunning ocean and mountain views, timeshare options, three restaurants offering gourmet dining, an attentive English-speaking staff, five swimming pools, a 39,000 square-foot Sabila Spa and Wellness Center, two tennis courts, beautiful beaches, a private beachfront Danzante Bungalow and a mild and warm climate year-round. Guests can enjoy PADI-certified SCUBA diving lessons and snorkeling tours in the protected indigo waters that explorer Jacques Cousteau once dubbed the “Aquarium of the World.” Outdoor adventurers can also experience tours of the nearby Coronado, Danzante and Del Carmen Islands atop an inflatable APEX boat, as well as swimming, world-class fishing aboard the “Mad Dash” tournament boat, paddle boarding, kayaking, whale watching and mountain biking. With shuttle service priced at $10 per person round trip, guests can explore the historic town at the Islands of Loreto and visit the 1697 mission that made the town famous. The area is also known for its wildlife, including the 900 species of fish off the coast and in an area that has been designated a UNESCO World Heritage Site and the second largest National Marine Park. Hotel perks include a spa and fitness center, massages, salsa dance lessons and movie nights for children. Travelers can take a short flight from LAX on Alaska Airlines or from Calgary, Canada aboard WestJet, Canada’s most-preferred airline, to the Islands of Loreto.